From dating features to an ad-free, subscription-based version of its flagship service, the news and rumors born from Facebook’s F8 conference last week are still being digested. But because breakneck innovation has long been central to Facebook’s success, this week is bringing a fresh batch of product reports. Among them, the tech titan is looking to significantly expand its avatar offerings. 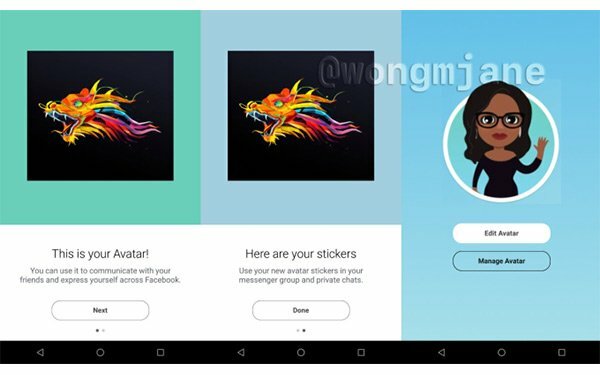 First noticed by Jane Manchun Wong, the attentive developer joked: “Totally not Snapchat’s Bitmoji.” That’s because the test images look a lot like Snap’s avatars. Snap, of course, dove into the avatar game in 2016, when it plunked down a reported $100 million for Bitmoji maker Bitstrips. Since then, Snap has encouraged users to link up their Bitmoji accounts -- which allows their emoji avatars to appear on Snapchat -- and invested heavily in the feature. The efforts appear to have borne fruit. Among unique visitors over 18, Bitmoji’s popularity skyrocketed by 5,210% from early 2015 through the end of 2016, according to comScore’s calculations. Analysts now see avatars as native to today’s social and messaging experience. Not news to Facebook, avatar experiments have been ongoing at the company. Last year, for example, Facebook launched Sp aces -- a virtual chat room, complete customizable environments, various multimedia offerings, and, yes, avatars. Yet, these latest tests could have far-reaching implications for Facebook and its more than 2 billion users around the world. Unlike dating features and Facebook “subscriptions,” avatars should fit nicely into Facebook’s core offers. They could also add elements of fun and creativity, which the platform has been sorely lacking.